One of the leading international vehicle manufacturers from France, Renault S.A has launched a powerful SUV car in the Indian automobile bazaar. This brand new majestic SUV, Renault Duster was one of the most anticipated launches in the country’s market as it had generated a remarkable response, when it was unveiled at an Automobile Show in the country. Renault India is a newcomer in the country with only a few years in the Indian car market and just three vehicles in its stable, before the addition of Renault Duster. But even then Renault Cars have made their mark in India and are being applauded for being reliable, fuel efficient and equipped with powerful engines, which are aptly suitable for the Indian road and climate conditions. The Renault Duster Specifications for both the petrol and diesel engines seem to be very impressive. The petrol engine is a 1.6 litre K4M power train that has been fitted with 4 cylinders and has a multi point fuel injection system. This efficient engine car deliver a peak power of 104 Ps at 5850 Rpm and a maximum torque of 145 Nm at 3750 Rpm and is mated with a 5-Speed manual transmission gear box. The mileage of the petrol version is said to be in the range of 10.5 to 13.24 kmpl, while the diesel version gives a healthy mileage between 18.0 to 20.46 kmpl. 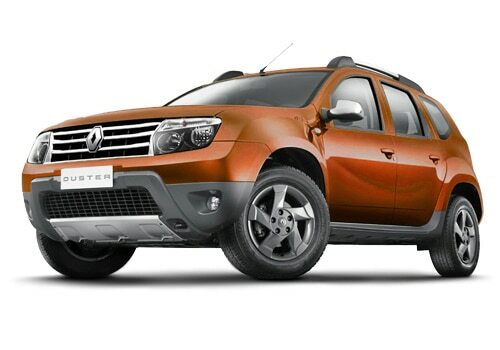 The Renault Duster Price for the base model of petrol version is Rs. 7.19 lakh, while the diesel version starts with a price tag of Rs. 7.99 lakh (ex-showroom New Delhi). This all new Renault Duster will be in competition with the likes of Mahindra XUV 500, Maruti Ertiga and the yet to be launched Tata Safari Storme and Ford Ecosport. Several Renault Duster Reviews state that this Renault SUV is fitted with some class leading features such as an advanced music system with Aux-in and Bluetooth connectivity, reverse parking sensors, a powerful air conditioner with heater and independent blower and rear AC vents, audio and phone controls mounted on the power steering, ABS, EBD, remote locking, engine immobilizer, dual front airbags, keyless entry, rear windscreen wash and wipe along with a defogger and a lot of other such exciting features to tempt the customers. The exteriors are brilliant with a strong and rugged body structure and an imposing front fascia. The side profile is smooth and the rear end has a curvy boot lid as can be seen in the Renault Duster Pictures. This new SUV will surely become a stunner once it comes out on the Indian roads and will certainly become one of the top selling SUVs in the country. In the meanwhile, several other SUVs such as the Tata Safari Storme, BMW X1, Premier Rio Diesel and Mahindra SsangYong Rexton are also projected to be introduced in the Indian car market very soon in the coming months. I shared that all new 5-seater Audi Q3 packed with superlative features and a dominant engine.